The Bermuda Squash Open 2018 continued with the Quarter-Final action in both Men’s and Ladies taking place at the Bermuda Squash Racquets Association Club. 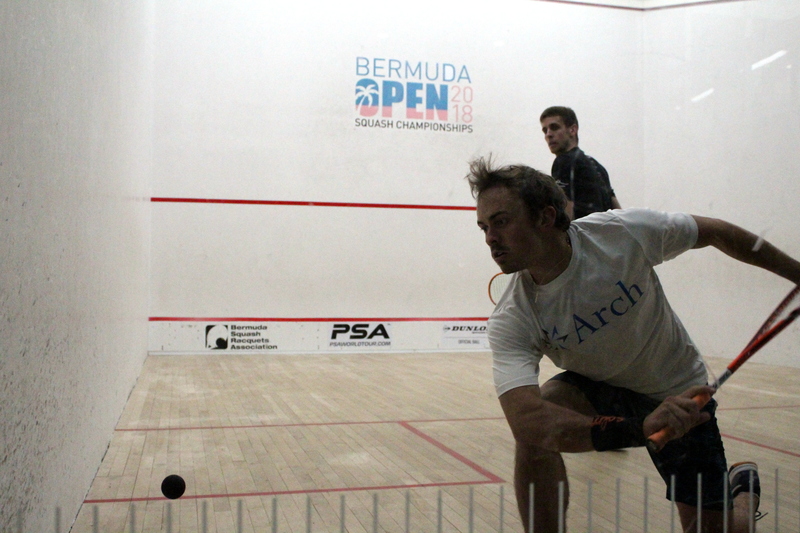 Bermuda’s two Professionals bowed out of the tournament on a night of high quality Squash. Noah Browne went down to the tournament’s number one seed Angus Gillams from England in a four game battle 11-7, 11-7, 5-11, 11-4 and Micah Franklin went down to the number 2 seed Nick Murrills also from England in straight games 11-2, 11-7, 14-12.